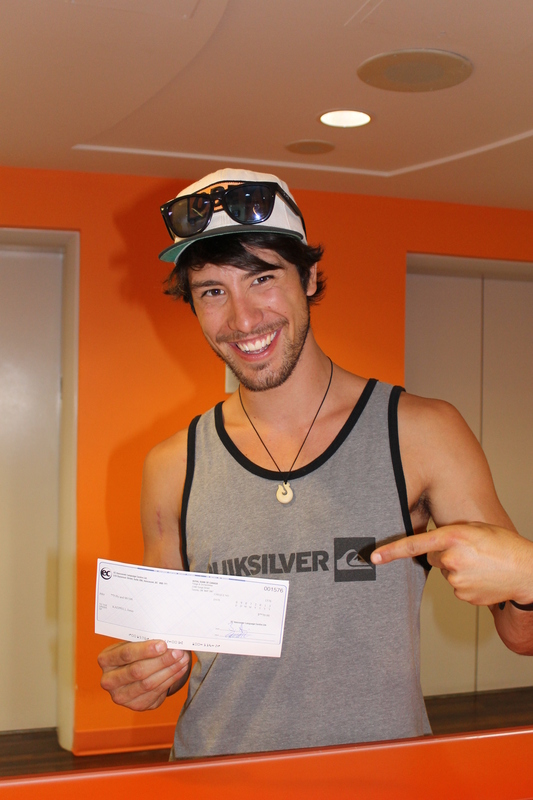 Congradulations to Jonas Kaeppeli who won June’s video competition with the theme of My Favourite Summer Activities and My Favourite Places in Vancouver!! 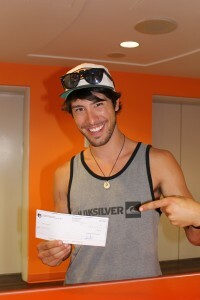 Here he is showing off his cheque for $50! This video displays both courage and creativity! We would like to encourage students to register for July’s video competition. The theme for July is Canadian sights, flags, maple leaves and memorabilia OR The difference between Fun and Funny. We encourage creativity and originality – for more information please come to the front desk. Come on! It’s $50! What do you have to lose?